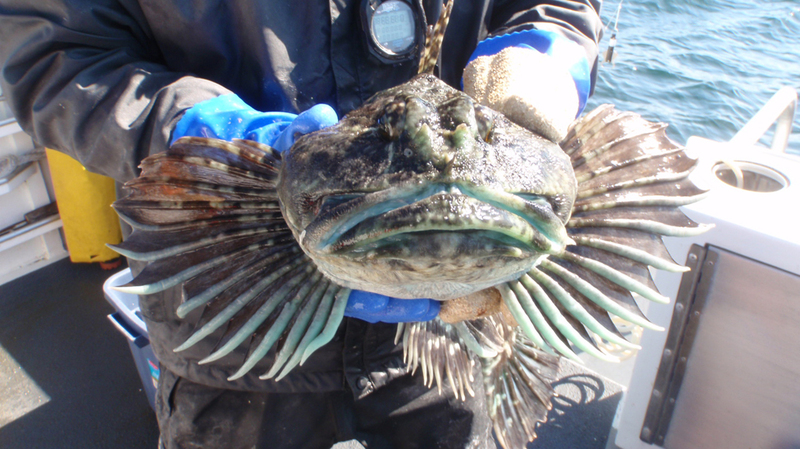 Cabezon were the catch du jour at Cape Falcon Marine Reserve during the last research trip, with 14 caught in two days. For comparison, the normal catch at Cape Falcon is only a few. Cabezon tend to be loners and hunker down in their individual territories – so they are generally pretty well dispersed – which is why catching only a few is typical. But, once in a while there are some areas that appeal to them – often referred to as ‘cabbie holes,’ which are hotspots that attract a fair number of cabezon to an area. The reasons why this occur is still a mystery. Some theories include mating behavior, or a preferred type of habitat that exists in these hotspots, or even a type of food that is available. We are just beginning to scratch the surface of understanding our nearshore ocean that encompasses the marine reserves, and mysteries like what drives cabezon aggregations are still waiting to be discovered. 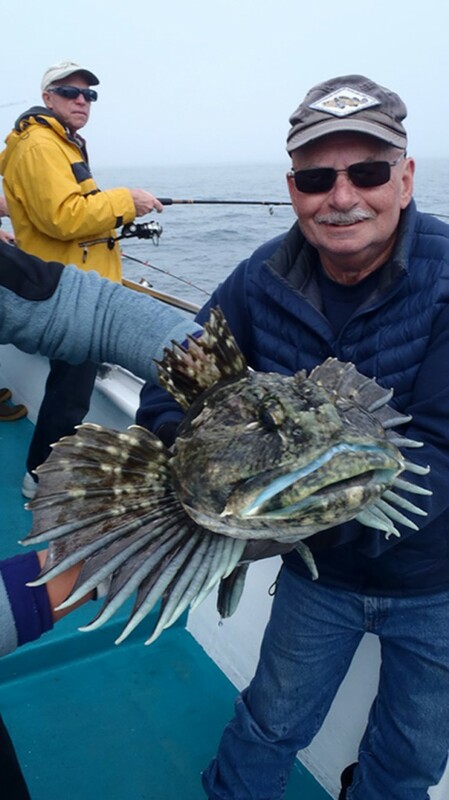 What we do know is that cabezon are the largest member of the sculpin family, reaching up to 25 pounds (39 inches) and living up to 19 years. The cabezon’s big head is equipped with an equally sizable mouth and the appetite to match. Interestingly, they have teeth in their mouths and throats that are used to grind prey, and frequently make grinding noise (and sometimes croaking noise) when caught. But, beneath the surface, cabezon are ambush predators that lies patiently, well-concealed among its surroundings, waiting to pounce on crustaceans, mollusks, and small fish that are unfortunate enough to pass by. 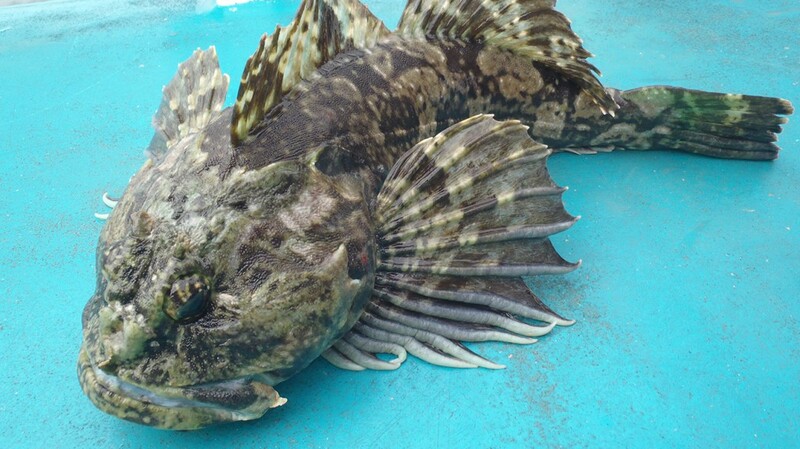 Cabezon are often caught by anglers and commercial fishers alike. While the cabezon itself is delicious, the eggs are toxic and should never be consumed (in fact, predators don’t even touch them).